The implementation of the EN ISO 9001:2015 quality management system proves that our company has implemented the necessary processes for our services to meet client demands as well as legislative requirements. The EN ISO 14001:2015 certificate confirms our company’s concern for the environment, including the use of environmentally-friendly technologies and materials for our business, sorting of waste, and only printing documents when really necessary. At Skrivanek we work in accordance with the EN 17100:2015 translation process management standard. This means that our company complies with the stipulated requirements in terms of the selection of specialists, communication, project management, work procedures, use of technologies, and other industry-specifics. The implemented ISO/IEC 27001:2013 information security management system guarantees that our company has implemented information protection measures. It also provides the necessary control to ensure the security and confidentiality of the data that partners entrust us with. In order to increase the quality of services offered, strengthen our position on the language service solutions market, and improve the environment and information security measures, Skrivanek Baltic has implemented a number of management systems. We are proud that Skrivanek Group was the first language service provider in Central and Eastern Europe that fully met the requirements of the ISO 9001 quality management system, and received a certificate from TÜV Suddeutschland Holding in 2002. 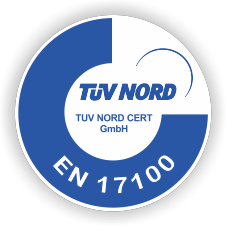 Our company is also the holder of EN 17100:2015 professional certification specific for the translation industry, which specifies the requirements for the process of translation and all related aspects, including demonstrating quality and traceability. As an environmentally friendly company, we have introduced an environmental management system in accordance with EN ISO 14001. We are fully aware of the risks posed by all our activities during our work with information. For this reason we also decided to implement an information security management system according to the EN ISO/IEC 27001 standard in order to protect information against destruction, theft or misuse. We wish to establish credibility and the ability to effectively protect information about property belonging to us and our business partners, employees, the public and state administration and the general public in compliance with the legislation and our security regulations. How can you guarantee reliable translations? 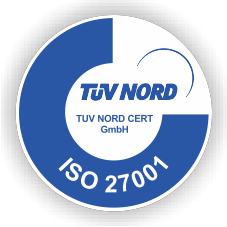 We are certified according to ISO 9001, EN 17100, and ISO 27001. We are committed to confidentiality, take responsibility for everything we do, and are always on time! EN 17100 specifies requirements for all aspects of the translation process directly affecting the quality and delivery of translation services. For our clients’ peace of mind we have signed a professional liability agreement with the international insurance company AIG. We also provide translations with notary certification or certify them ourselves.